Lock in a great price for Orestias Kastorias – rated 8.8 by recent guests! This is the second time we've stayed at this hotel and the reasons we chose it remain the same. It is at an excellent location, close to everything and with a great view. The rooms are comfortable, if a bit minimal in furniture, the wifi reception is very good and there's coffee and cookies available in the lobby 24/7. The staff, as always, was very helpful. The hotel has a small private parking area for 4-5 cars. Not many, but you can usually find a spot. Still, I recommend contacting them in advance to reserve one. Reception was excellent. Location is fantastic. Coffee/tea and cookies 24/7 in lobby! Wonderful greek hospitality. Parking was available right in front! View from balcony overlooking the Roman Forum at sunset was to die for! 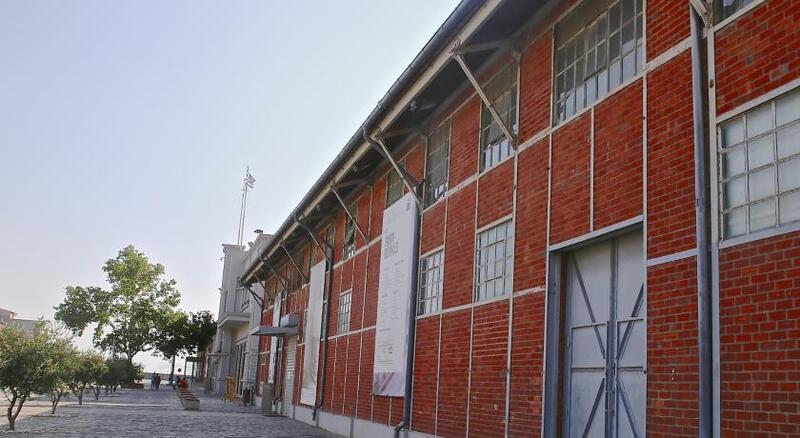 The location of the hotel is perfect, between the old city and the city's waterfront. The hotel staff is friendly, ready to help in any situation!!!. It is quite easy to find the parking place. Rooms are clean and coffee and cookies are free and available non-stop. This was our second stay at the hotel. 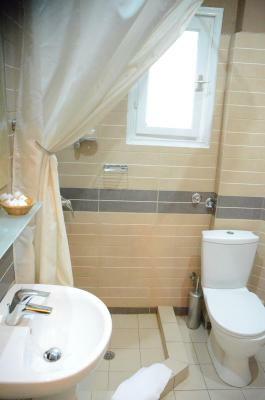 Its location is very good, just 200 meters from the main square. 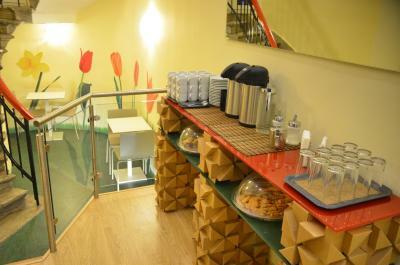 The staff is very kind, free parking is available (although limited space), free coffee and tea. The rooms are clean, comfortable and in good shape. Really kind people, whatever I asked for, they were willing to help me. Clean room with a really big bed. 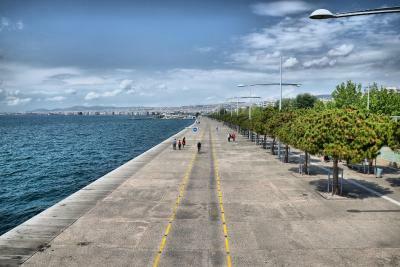 It's located 5 min away from the city center. I totally recommend it! The staff was excellent, beds comfortable, and location excellent. They had a room with coffee and tea where we sat for a few hours to rest the day we checked out. It was exactly what we needed. The location is great, just in the center of the city, close to everything. 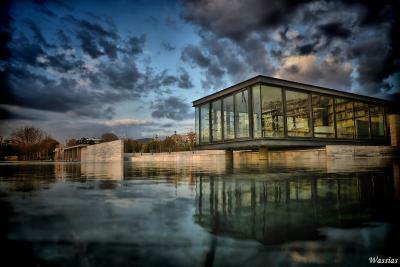 The staffs are nice and helpful, give good recommendations of a one day visit. 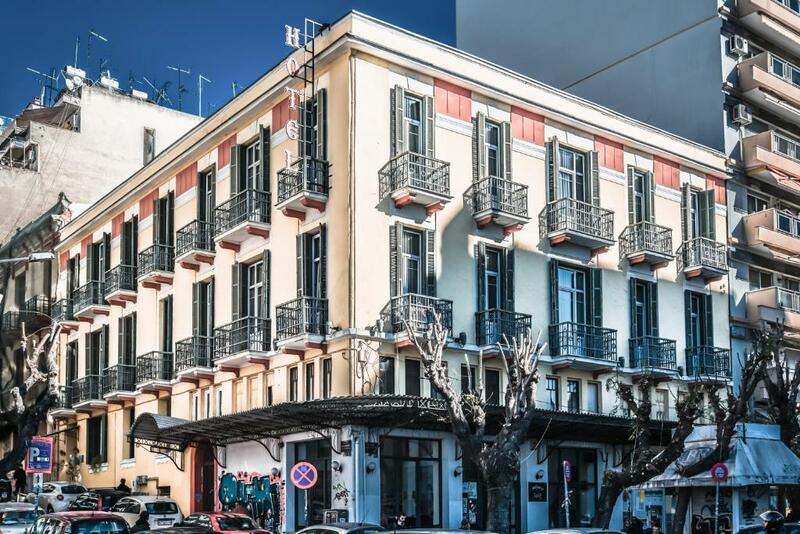 Orestias Kastorias This rating is a reflection of how the property compares to the industry standard when it comes to price, facilities and services available. It's based on a self-evaluation by the property. Use this rating to help choose your stay! 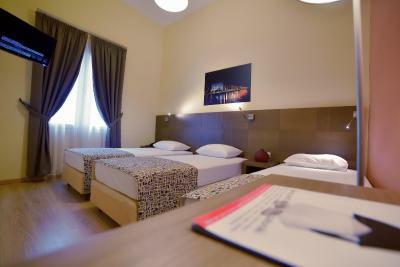 The accommodations types at Orestias Kastorias are functional and simply decorated. They all come with air conditioning, a mini-bar and a satellite TV. 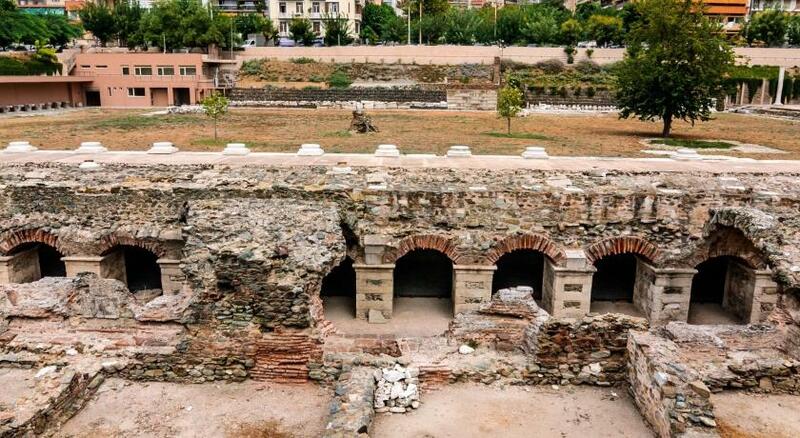 Some of them offer views of the Ancient Roman Forum or the Agios Dimitrios Church. 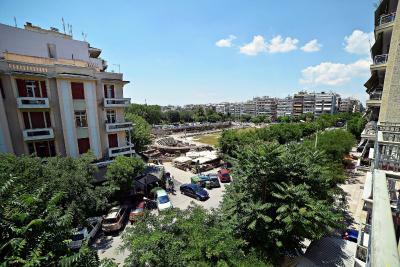 Most museums, shops, restaurants and nightlife can be found within walking distance of Orestias Kastorias. Free tea, coffee and cookies are available throughout the day. Macedonia International Airport is approximately 9.3 mi away. Private parking is available near the property. 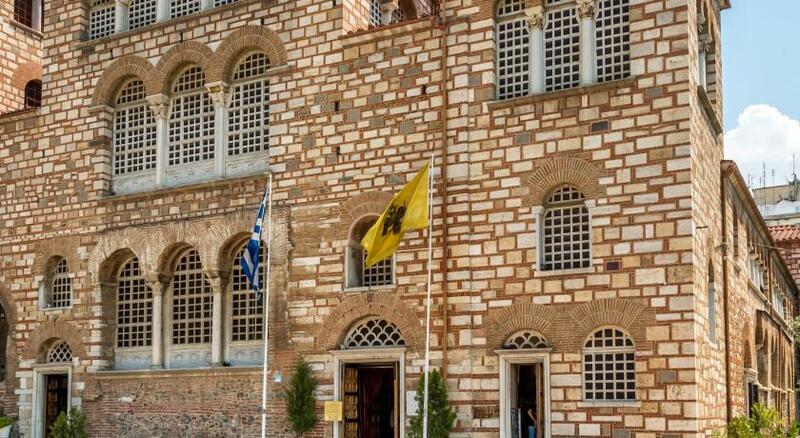 When would you like to stay at Orestias Kastorias? 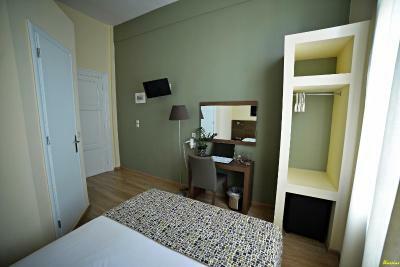 Simple and functional, this room is air-conditioned and has a TV with satellite channels. 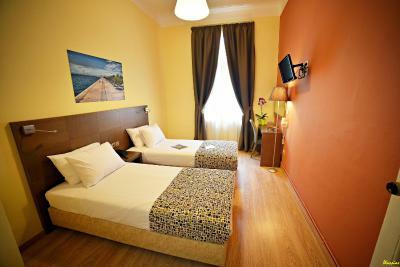 Many single rooms have views of the Ancient Roman Forum or the Agios Dimitrios church. 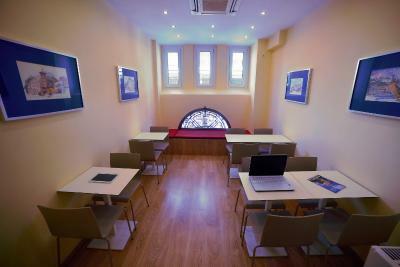 Simple and functional, this room is air-conditioned and has a TV with satellite channels. 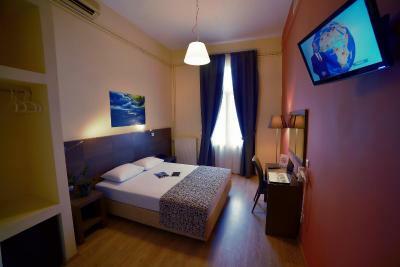 Many double rooms have views of the Ancient Roman Forum or the Agios Dimitrios church. 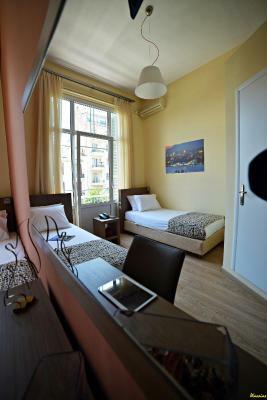 Simple and functional, this room is air-conditioned and has a TV with satellite channels. 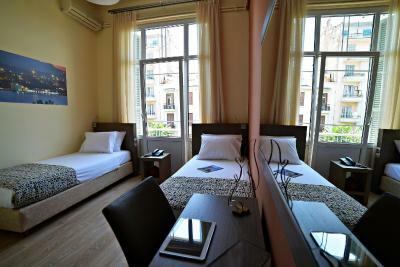 Many triple rooms have views of the Ancient Roman Forum or the Agios Dimitrios church. House Rules Orestias Kastorias takes special requests – add in the next step! Orestias Kastorias accepts these cards and reserves the right to temporarily hold an amount prior to arrival. The staff was truly very available and gentle. The room cleaned and the position of the hotel was central and close to the bus stop. Everybody speaks English and the reception is available 24/24. Good VFM. Mister Loukidis and his team are always so helpful and friendly! They made our stay in their newly renovated hotel -which is perfectly situated in the town- once again perfect. Thank you!! 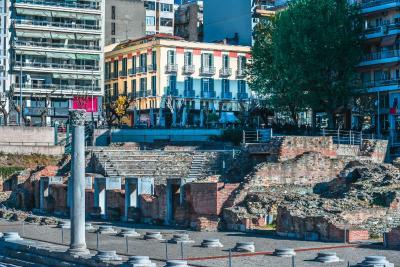 I book this hotel every time we go to Thessaloniki, it’s situated in the heart of the town (but not too close to the agitation). 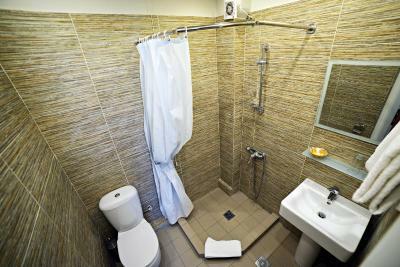 They recently renovated and everything is sparkly clean and comfortable ; one can find a small fridge in the room (for the extra cakes - I highly recommend Blé for eating and their sweets), a hairdryer, the bathroom is spacious and toiletries available. Last but not least, the personnel is very friendly and ready to help. Very nice clean centrally located. The staff are very helpful nothing is too much trouble. Only stayed here a few hours as I had to leave before dawn...but the location was excellent, my room was comfortable and clean and the staff on the front desk friendly and helpful. There was no carpet and slippers in the room. We had to walk around with shoes. Also the quilt was not comfortable at all. The hotel was centrally located. No breakfast available apart from coffee and cookies, no elevator. Hotel is under renovation though and they are planning to cover both in the future. 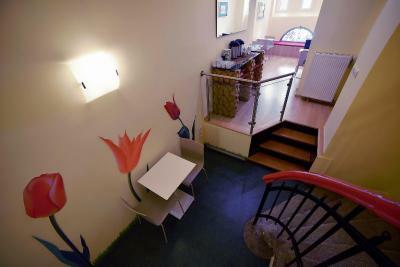 Spacious room, clean, friendly staff, safe, great location. 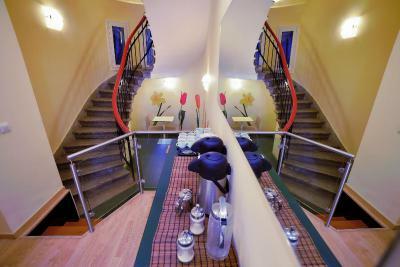 Amazingly polite and helpful staff, top location in city centre, recently renovated and exceptionally clean hotel. Free parking space in front of the hotel, free coffee and cookies next to reception. One of the best small hotels in Thessaloniki. Highly recommend. Can't think of anything we didn't like. No lift but as we were on 1st floor it wasn't really a problem. Excellent location. close to bars, shops and eateries. Ideal location for the hop on hop off bus - can board at the top of the street opposite the church - there's a grassed area where the bus stops even though there is no actual bus stop to show where to board. Only a short walk past the Roman forum and through the park to pick up points for day trips and hop on hop off bus - by the white statue. 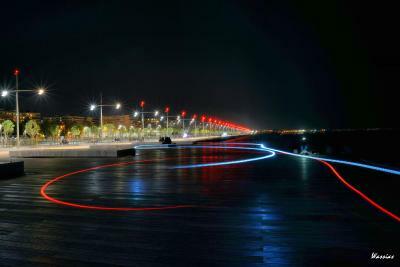 Carry on across the main road and you are on the main drag to restaurants, markets, souvenir shops and the seafront. We were on first floor with nice view towards Roman forum. Small but comfy, clean room, Shower always had hot water!! TV had English speaking news channel which was fine for us to keep updated. Free tea, coffee and biscuits downstairs 24/7. Coffee lovely and availability meant we didn't miss kettle in room. Reception staff always friendly and helpful. No lift (some rooms are in the 3rd floor). No breakfast included. Location is very good. Friendly staff. Clean and big rooms. Very warm welcome, perfect hints for food and sightseeing!